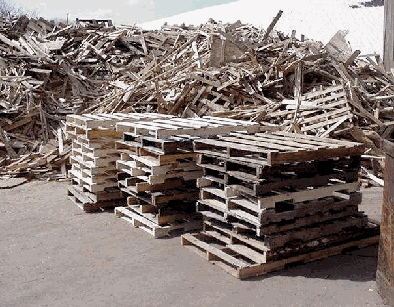 CWPM recycles all clean wood waste we receive from our customers, such as pallets, skids, crates, tree waste, lumber, etc. 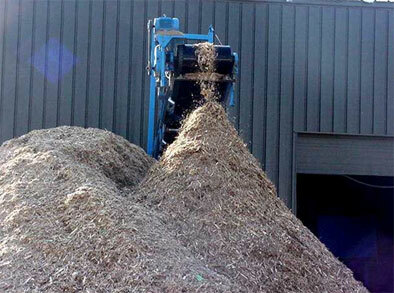 We own and operate a Hammer Mill style shredder which reduces large wood into a wood chip product. The wood chip is then used as a fuel product or wood mulch for landscaping. Our Volume Reduction Transfer Station in Plainville, Connecticut, has the capabilities of accepting large amounts of fiber materials and processing these for shipment to various markets for recycling. Materials are sorted, baled and then shipped to these sites. No matter how little, or how large an amount of recyclable material you produce, we have a container that will fit your needs. We can collect recyclables in small 14 gallon recycling bins up to 100 yard trailers, depending on your needs.